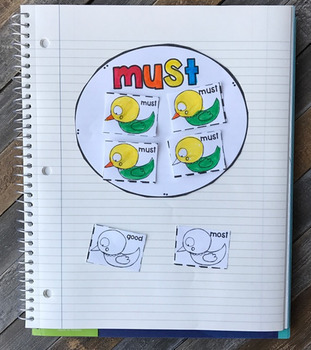 Interactive Book of Sight Words Primer Set 4, is exactly what you need to introduce and continue to practice sight words with your students. This notebook was specifically designed for kindergarten students. The activities are engaging and not too repetitive. Each activity is unique and will keep them interested. 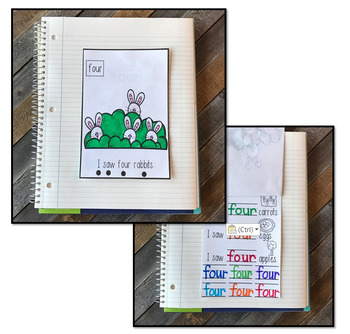 Students in kindergarten will be able to cut out the activities independently in small groups (perfect for a small group with teacher activity). 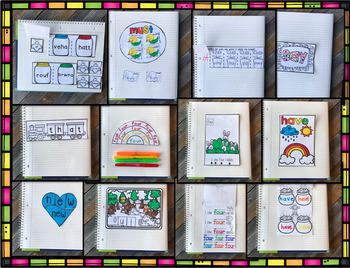 This unit will help them identify, read and spell sight words. The words are taken from the Dolch primer and have been broken down into six sets of 10 words (and a few from the First Grade Sight words).